Agriculture is a big part of life in North Dakota. Our agricultural past stretches back more than 800 years when Native Americans raised the first crops of corn, beans, squash, and sunflowers. As homesteaders moved onto the land in the 1870s, they brought new crops and livestock. Today, agriculture remains our number one industry. In fact, North Dakota is a national leader in the production of more than 10 different food crops that help to feed the nation and the world. See both modern and historic objects. Stand inside a full-size grain silo, and challenge yourself to match the seed with the crop and final product. Watch videos showing the past 100 years of ranching, planting, and harvesting. 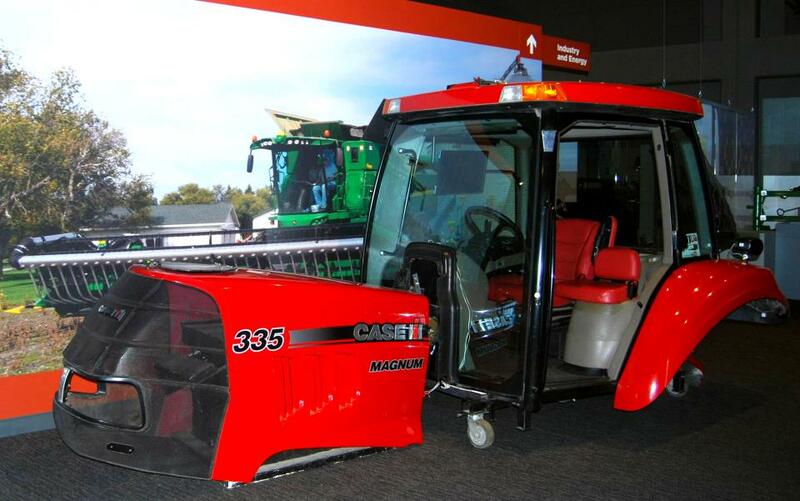 Sit inside a modern tractor and experience what it is like to plant and harvest crops.